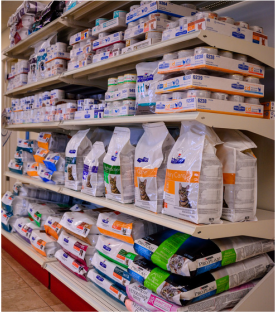 ﻿Ammon Veterinary Hospital carries a wide variety of Hill's Prescription and Purina Prescription diets. We also carry nutritional supplements and shampoos for your pets. Need something that we don't have? We can help you find it. Call or visit us to see our selection.